New initiative in Sacramento will examine the impact of PV on the electric grid | West Coast Solar, Inc. 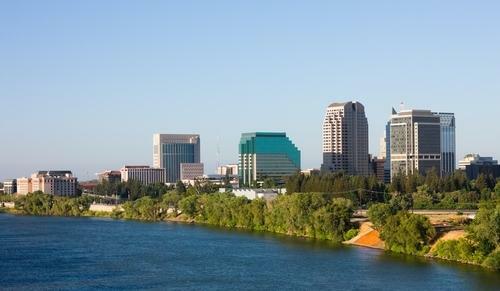 In early March, two influential green technology companies announced a joint plan to study the effects of solar photovoltaics (PV) on the electric grid in Sacramento, California – an initiative that could pave the way to greater solar power adoption throughout the city. Stem, an organization that analyzes energy consumption and develops solutions for optimizing it, is partnering with the Sacramento Municipal Utility District (SMUD) for a two-year research project that will use in-house technologies to measure the impact that a high penetration of PV has on the grid, according to a press release. The success of the program relies on the participation of residential and commercial customer volunteers who will have Stem’s PowerMonitor data collection and analysis solution installed in their buildings. One of the main goals of the project, says SMUD’s Mark Rawson, is to determine better methods of enabling clean energy throughout the city. It’s encouraging to see that the Golden State – whose efforts to go green have already put it ahead of the rest of the country when it comes to solar energy solutions, according to a recent report from GTM Research and the Solar Energy Industries Association – continues to pursue a future of renewable power. If you live in the Sacramento area and are interested in hearing more about how these kinds of energy-efficient upgrades can benefit you, contact West Coast Solar for an in-home assessment at 877-379-3448.